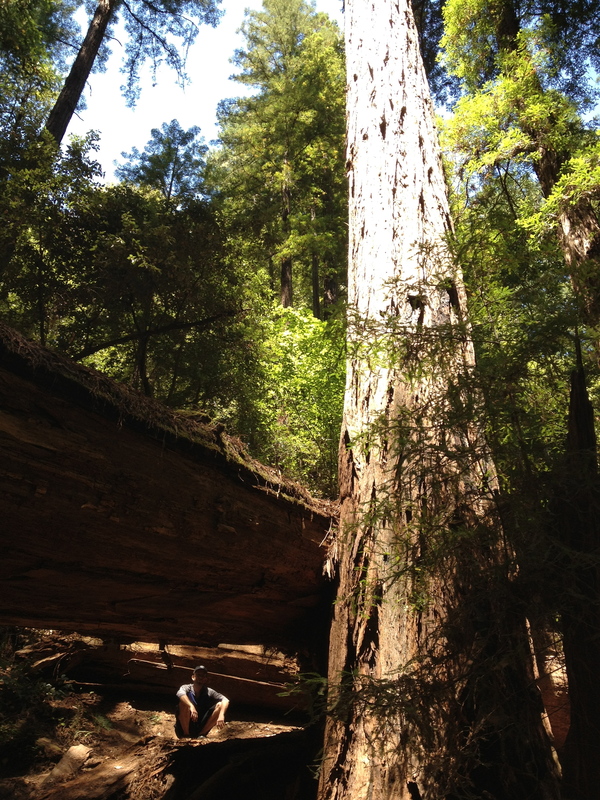 Hikerly — Armstrong Redwoods State Natural Reserve Loop -- 2.3 miles, 473 ft.
Browse: Home / Armstrong Redwoods Loop 2.3 miles – 473 ft.
2.3 miles – 473 ft. 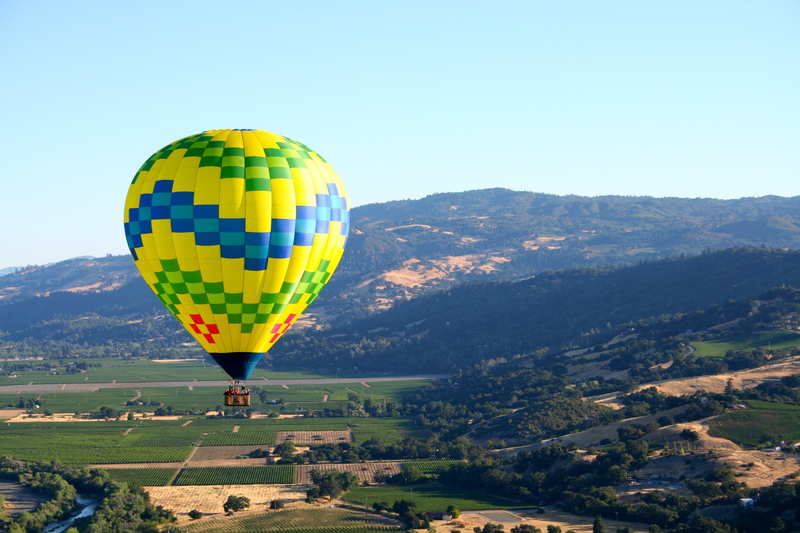 When visiting the Russian River Valley for a weekend wine getaway, it’s always good to mix a little exercise in with the indulgence. 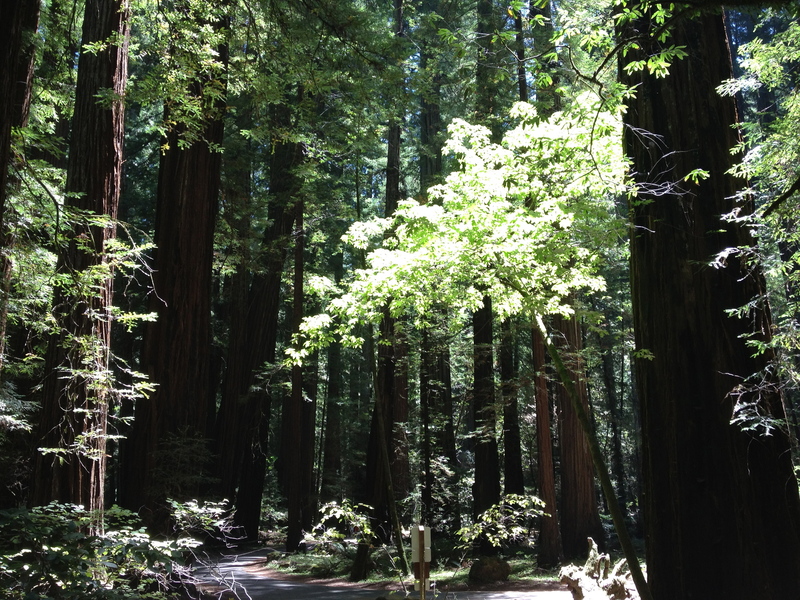 Armstrong Redwoods State Natural Reserve is in the heart of the valley near Guerneville, a quiet little riverside town, and offers majestic redwoods (and the cooling shade they can provide) without all the tourists of the more well-known Muir Woods. This particular hike is short, moderately strenuous with a steep uphill segment and can easily be lengthened or shortened if desired [?]. 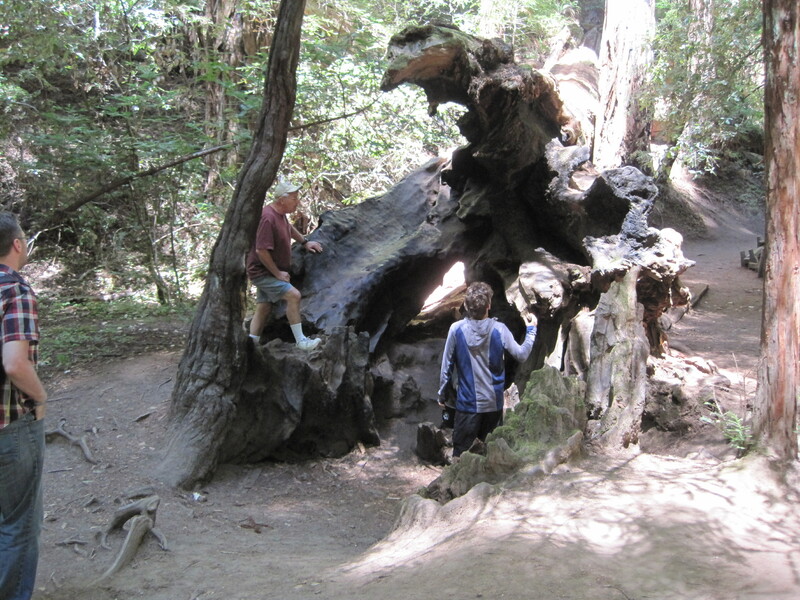 The hike will take you past the park’s oldest redwood, the Colonel Armstrong Tree, estimated to be more than 1,400 years old. 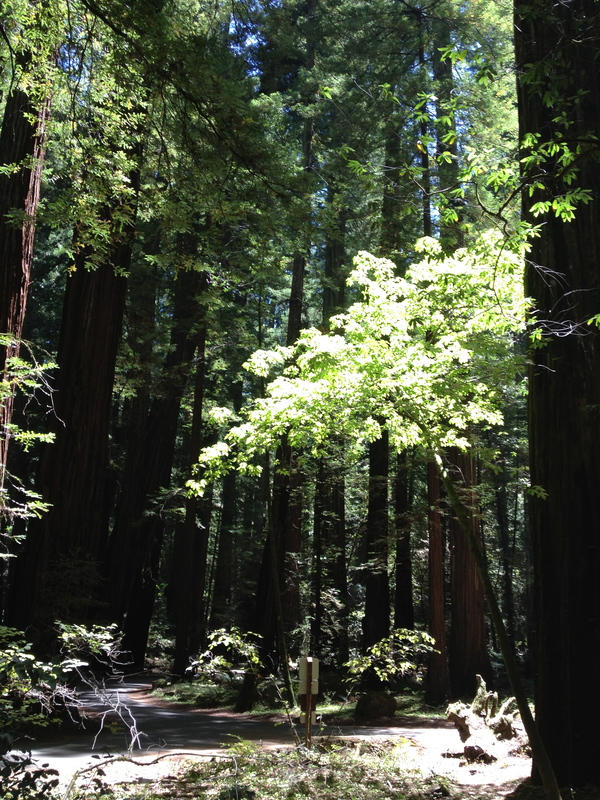 The tree (and the park itself) are named after a logger who chose to preserve this bit of grove in the 1870s. You will also take in parts of two nature trails with their informative signs about the ecosystem before hiking (or some might say trudging) up a steep hill toward the ridge line as you make a loop back to your starting point. 1. From the Colonel Armstrong Tree parking lot follow the path past the actual Colonel Armstrong Tree then make an immediate left on the Armstrong Nature Trail. 2. The Armstrong Nature Trail is a flat, easy trail with some informative signs along the way. After about .3 miles you will come to a T intersection with the Pioneer Nature Trail. Make a left. 3. Learn all about the sword and bracken ferns and more about the ecology of the area with the signage along the Pioneer Nature Trail until you come to the picnic area and its parking lot. 4. Make a left to walk through the picnic area until you come to the restrooms. These are your only restrooms along the hike, so take advantage of them. 5. Continue on the Pool Ridge Trail which ascends steeply to the left of the restrooms. You will climb about 400 feet along a half-mile of switchbacks here so it’s a steep ascent. Take your time and take advantage of benches along the way if you need them. 6. Just past a bench near the ridge line you will come to a three-way Pool Ridge Trail intersection. The trail you are on branches but keeps the same name in both directions. Make a left on the Pool Ridge Trail to start heading back downhill on a series of switchbacks. If you use hiking poles, you’ll find them handy on this downhill which does have some loose dirt. 7. 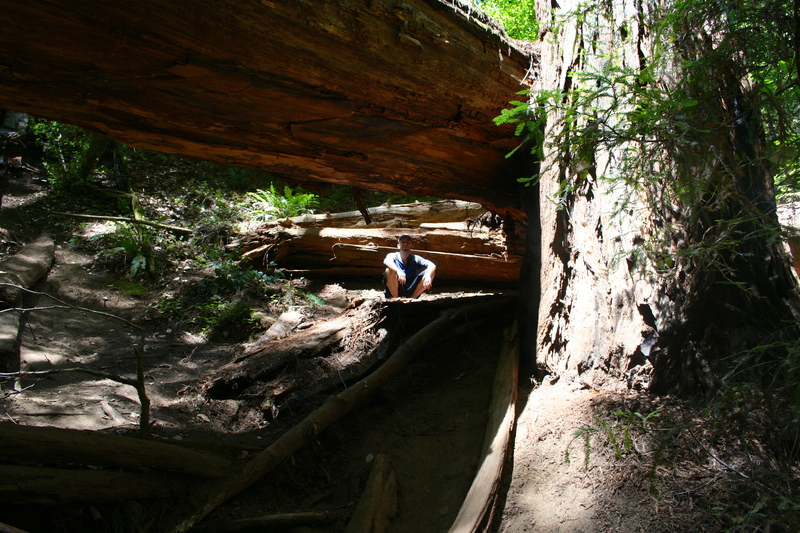 Once you get back down into the valley you will come to one final intersection to a trail that goes to Armstrong Redwoods Pack Station. Make a left (away from the pack station) to return to your car in the parking lot. For an avid hiker, this loop is going to be a proverbial walk in the park, but for someone unaccustomed to steep inclines it may feel like a bit much. Thankfully there are a lot of options in the park depending on what you are looking for. Flatter alternative for the incline-adverse: Start at the visitor center (before you enter the park) and take the Pioneer Nature Trail to the Discovery Trail to the Armstrong Nature Trail and back on the Pioneer Nature Trail for a very flat 1.3 mile walk. Tougher alternative for a cardio climb: You can extend the loop hike described here to include an additional 2.8 miles and a climb to more than 1200 feet in elevation by adding an out-and-back on the Pool Ridge Trail. At the three-way Pool Ridge intersection described in step 6 above, instead of going left, continue to the right. The trail will continue uphill 1.4 miles to a trailhead parking lot. 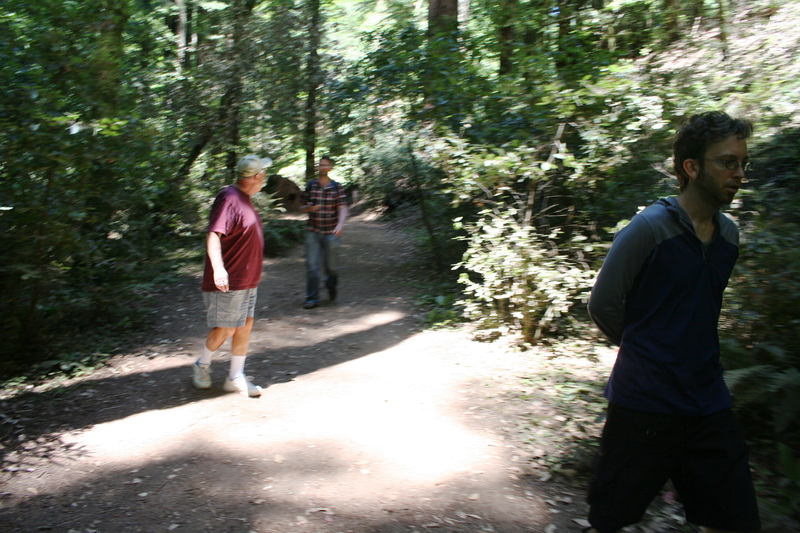 Then retrace your steps to the intersection and continue on the loop hike. More options: Check out the suggested walks/hikes on the state park’s site for a longer list of alternatives or stop in the visitor center and chat with a ranger or volunteer to get suggestions. Hot Air Balloon Ride: We took an hour-long hot air balloon ride over the vineyards followed by a champagne brunch with a company called Up and Away. The experience was top-notch: Gorgeous views, a professional team and a tasty brunch afterward. Canoe the Russian River: Burke’s Canoe Trips is a very popular rental company. You rent canoes (or kayaks) and paddle downstream 10 miles (about 3 hours) to a pickup point to be shuttled back to your car. You can swim in the river and enjoy a picnic lunch along the way. I’ve taken Burke trips twice now and would definitely recommend them, though weekends are a little overly crowded so you may want to try for a weekday to get a little more of a nature experience. You can also camp overnight at Burke’s if you want. Dine in Guerneville: Just three miles from the entrance to Armstrong Redwoods is the quaint little town of Guerneville with lots of shops and dining destinations (as well as a Safeway if you need any last-minute water or snacks). Two suggested stops for post hike food would be Boon Eat + Drink which serves amazingly tasty seasonal local meals in a modern, but casual, atmosphere and Flavors Unlimited for ice cream and frozen yogurt mixed with ingredients of your choosing. Follow the road to the left to get to the Colonel Armstrong Tree parking area. There is a medium size parking lot at the Colonel Armstrong Tree which is where this loop hike begins. The parking lot is within the park and requires a per vehicle entrance fee of $8 ($7 if you have seniors in your vehicle). 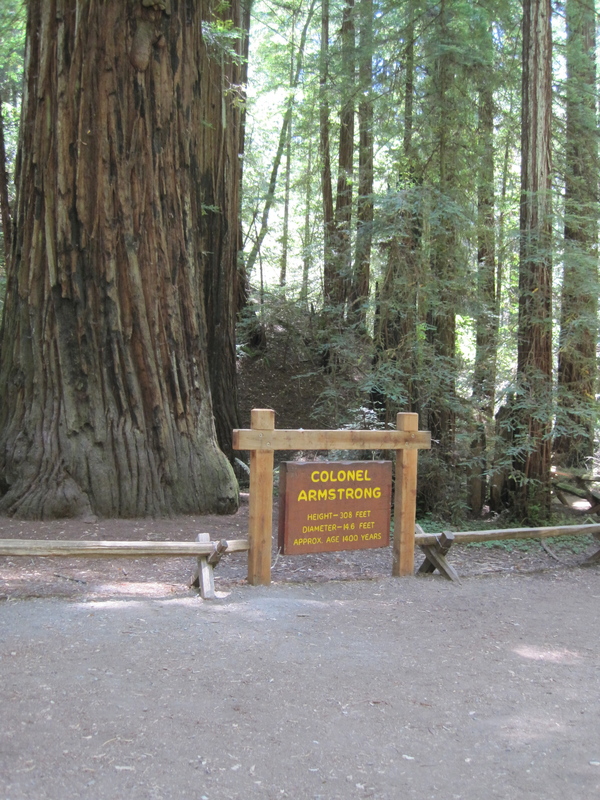 There is free parking just outside the park by the visitor center, and you could slightly alter the hike to begin from there, though that lot is more likely to be full than the one at the Colonel Armstrong Tree.